The very awaited MY 40, new model world preview signed by Fountaine Pajot Motor Yachts, will be unveiled at the Boot Düsseldorf from January 19th to 27th 2019 – Hall6 Stand 6A68. She will also be exhibited in preview at the Singapore Yacht Show for an « Asia Premiere » from 11th to 14th of April 2019. Two events not to be missed ! 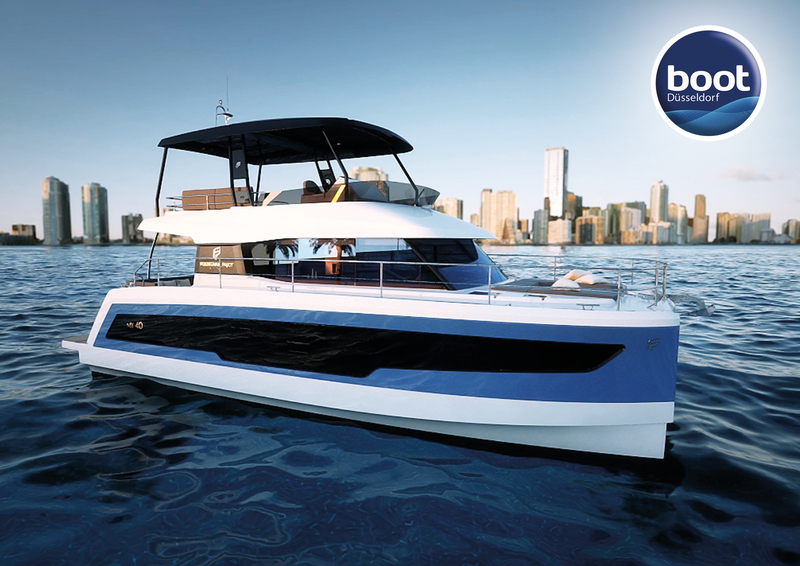 As for the MY 44, rewarded by many International specialized Magazines, the MY 40 combines with style, wide open living spaces inside/outside and a fluent communication throughout the boat. She also delivers good performances and unrivalled stability while cruising. Equiped with IPS systems, the MY 40 guarantees incomparable seaworthiness and easy to dock manoeuveurs. The MY 37 and MY 44 will be also displayed during the coming 2019 Boat Shows.